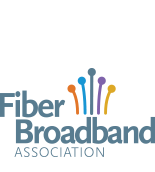 Fiber Broadband Association : Blogs : Alianza Deepens UCaaS and CPaaS Expertise With Addition of Clark Peterson to Board of Directors. LINDON, Utah — January 21, 2019 — Alianza, Inc., the cloud voice platform company, announced today that Clark Peterson has joined its board of directors. The company will benefit from his deep unified communications experience, industry knowledge, strategic thinking and track record of building and scaling unified communications platforms. Alianza makes cloud communications radically better for service providers with a web-scale, API-driven SaaS solution. Our Cloud Voice Platform is a turnkey cloud-sourced solution that enables cable, fiber and wireless broadband providers to realize massive simplification, new service possibilities and a lower total cost of ownership. Expanding CPaaS applications, this new way to deliver voice untangles service providers from the restraints of old-school voice networks and accelerates innovation and growth. Learn more about Alianza at www.alianza.comand follow the company on Twitter and LinkedIn.